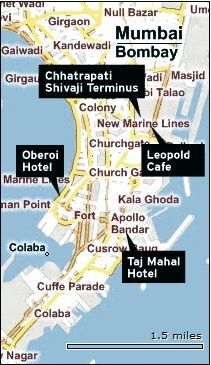 MUMBAI, India — Terrorists armed with automatic weapons, bombs and grenades attacked at least eight sites in Mumbai on Wednesday and were holding Western hostages at two luxury hotels, authorities said. 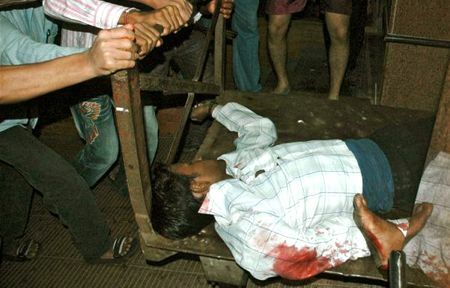 Police and Indian media reported at least 80 people were killed and 900 wounded. 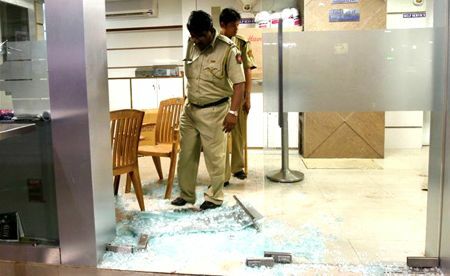 The gunmen targeted five-star hotels, a popular restaurant, a police station, a crowded train station and other sites in India's financial capital in attacks that began late Wednesday and continued into Thursday, police and witnesses said. 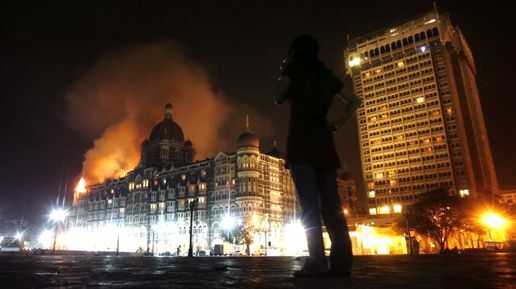 Explosions were heard at the Taj Mahal Palace & Tower hotel, and an ensuing fire engulfed the top of the landmark building early Thursday. Screams could be heard and enormous clouds of black smoke rose from the century-old waterfront edifice. Firefighters were spraying water at the blaze. Meanwhile, army troops began moving into another hotel, the Oberoi, thought to contain hostages. "We have reports of 80 people dead and at least 250 injured. Many have serious injuries and the toll will go up," P.D. 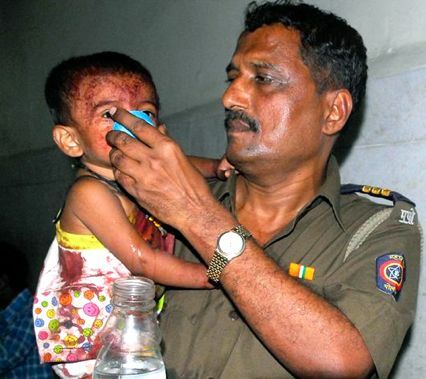 Ghadge, a police officer in the main control room in Mumbai, told Reuters. A.N. Roy, a senior police officer, said police were continuing to battle the gunmen. "The terrorists have used automatic weapons and in some places grenades have been lobbed, the encounters are still going on and we are trying to overpower them," he said. At least four suspects were killed by police in two incidents when they tried to flee in cars, State Home Secretary Bipin Shrimali said. Home Minister R.R. 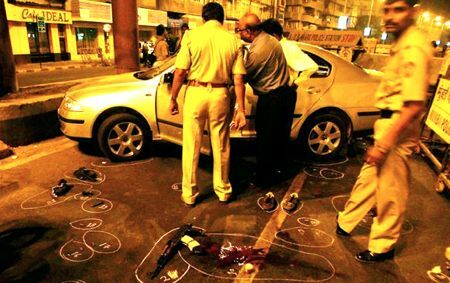 Patil said nine others were arrested.The arrests come as heavily armed gunmen attacked a pair of luxury hotels, a crowded train station, a police station and other targets in Mumbai, and took people hostage early Thursday. An organization calling itself the Deccan Mujahideen sent an e-mail to news organizations claiming responsibility for the attacks. Terrorism experts said they had not previously heard of the group. 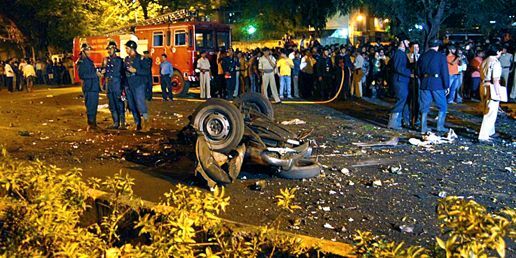 Among those killed in the attacks was Hemant Karkare, chief of the police anti-terrorist squad in Mumbai, Indian television reported. The U.S. State Department said all U.S. diplomats in India were safe, but officials were still trying to account for any Americans who may have been staying in the hotels and other targeted areas. "At this point, we are unaware of any American casualties," said State Department deputy spokesman Robert A. Wood. 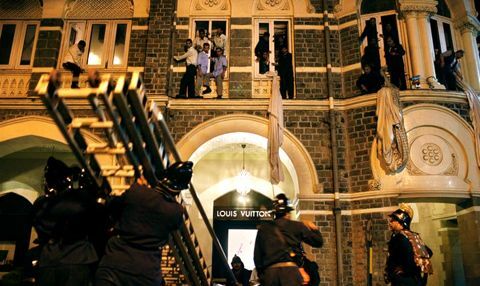 Gunmen opened fire on two of the city's best-known luxury hotels, the Taj and the Oberoi. The attackers specifically targeted Britons and Americans, witnesses said. The attackers were holding an unknown number of Western hostages at both locations, media reports said. NDTV reported gunmen asked for U.S. and U.K. passport holders to be pulled aside. 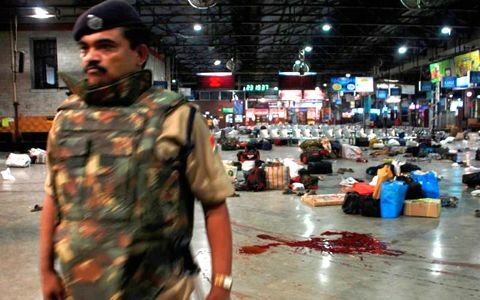 Assailants also attacked a police station, the crowded Chhatrapati Shivaji Terminus station in southern Mumbai and Leopold's restaurant, a Mumbai landmark. 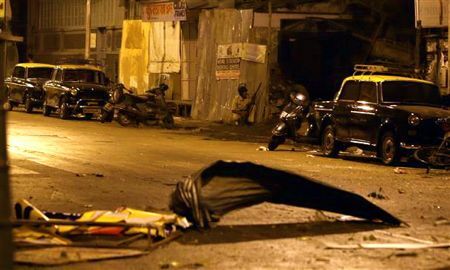 The motive was not immediately clear but Mumbai has frequently been targeted in terror attacks, including a series of blasts in July 2007 that killed 187 people.